Four years ago, Austin Texas based Whole Foods was eager to tap into the podcasting arena to reach listeners on the internet, and get even more people excited about shopping at their eco conscious market. It featured custom music, conversations with Paige Brady from Whole Foods, and information about organic food. This company was formed with a desire to really set the standard for excellence in produce and food. The podcasts were very successful in that they kept them short at 5 to 10 minutes apiece, yet still using a format similar to modern radio. Whole Foods has reached tens of thousands of listeners with hundreds of podcast episodes, and it is absolutely certain that they converted foot traffic for their markets around the nation. By having experts around the country be interviewed, they established major credibility in the natural and gourmet food market; solidifying themselves as a giant within their industry. 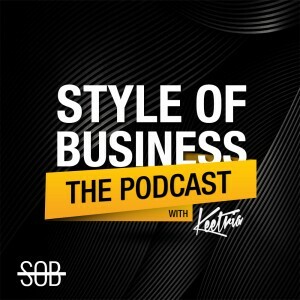 Why should I podcast for my business? Perhaps you are a very small business, collectible store online, clothing manufacturer, or marketing and consulting guru. You may even be one of the lucky ones that has enough clients right now and things are going well. But when you start podcasting, you immediately put a voice to your business, and for many entrepreneurs it is easier for them and less intimidating than sitting down and writing an article. If your business is something like photography, when listeners tune in and hear you speaking about great techniques, wedding prop tips, and great photographers of our time, you appeal to them as an expert. And if you choose to answer questions from customers, just think how that will impact sales in the long run. People who are freelance writers and authors have everything to benefit from podcasts, because after they complete one, it is out there on the web for people to listen to while you are concocting your next release. A huge mistake is thinking that podcasting is “boring” and that no one wants to listen to just talk. Just think of all the talk radio formats on any city radio dial! If you chose to not hire an outside firm and do it yourself, there are libraries of music out there that you can use to have a nice intro like you would see on a financial news show or any other talk format. After a few times, you will get the hang of it and really feel excited to “chat business”. 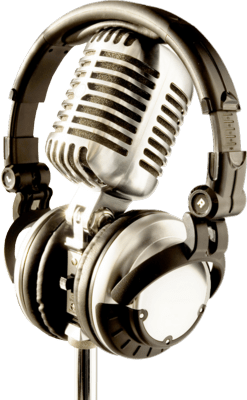 How can I get started podcasting for myself? Many entrepreneurs are leery about spending money and picture a full radio studio. That is the beauty of the internet! Do you need a full studio to post a video on YouTube? Not anymore. A lot of people start out by just using an iPhone. The free iTalk app is decent, and can get you at least working with your voice and speaking about some products. What we found to be one of the best in the smartphone arena of podcasting was called Boss Jack. It costs $9.99 to purchase and you can use music. You just place the music files in the right place and push buttons to do automated fade ins and fade outs. It gives you a higher quality sounding podcast. As far as doing it on a laptop, the best way on a budget is to buy a usb microphone. A good brand is Blue, which makes the Yeti and the Snowball. Snowball can be purchased for about 60 dollars. It can be used with a free program like Audacity, and creates an mp3 or wav file that you upload to SoundCloud or wherever your casting medium is. With Audacity, you can have high quality jingles and music that you add to the cast, making it sound more up to date. There is something very nice about having a microphone on your desk versus an iPhone, but if you are just starting out, use the iTalk app and see how your listening base grows. Looking at companies like Whole Foods shows us the power of podcasting, after you line up a few guests and get rid of your fright, the stage is yours. Your service or product is ready to fly around the web like a paper airplane neatly folded, and stocked with massive profit potential.